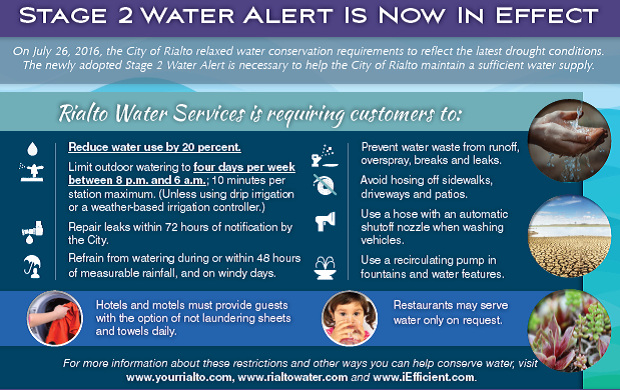 On July 26, 2016, the City of Rialto relaxed water conservation requirements to reflect the latest drought conditions. 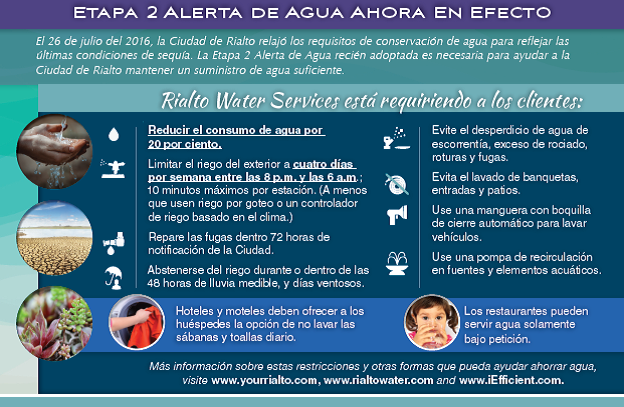 The newly adopted Stage 2 Water Alert is necessary to help the City of Rialto maintain a sufficient water supply. For more information on what this means to you, please see the flyer in English above or En Español below.